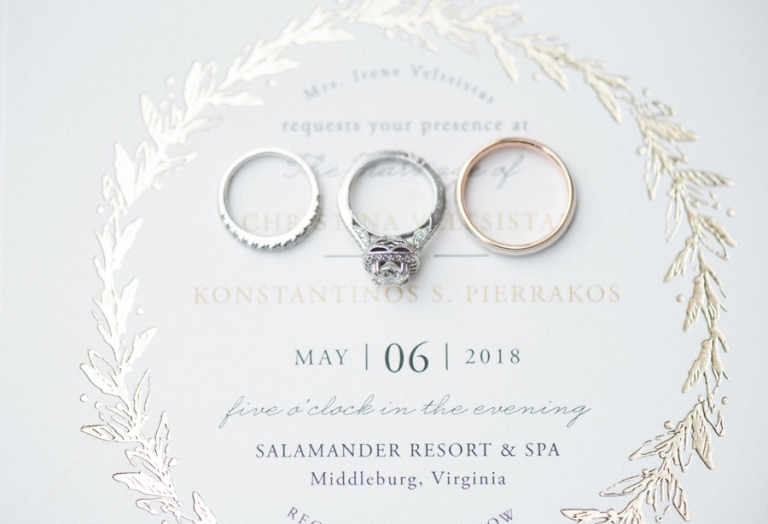 Christina and Dino were married May 6th, 2018 at the beautiful Salamander Resort and Spa in Middleburg, VA. I was so excited when I got the email they were getting married here as it is one of my favorites resorts to relax and lounge at the spa! If you haven’t been you are missing out! It was the perfect classy and beautiful venue just like the two of them! 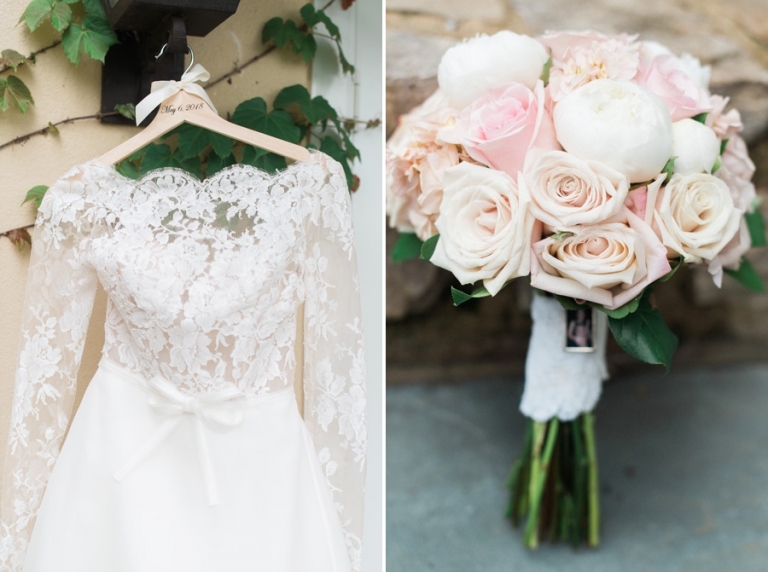 Christina made my jaw drop in her stunning lace dress with the cathedral veil. So beautiful and Dinos looked sharp in his tux. I can’t tell you how much I loved these two from the moment I met them. They are just so sweet, down to earth and such a cute couple! Dinos owns and olive oil business and Christina is a nurse and both enjoy their Greek heritage. I loved hearing their stories of how beautiful Greece is over coffee ( I’m dying to go!) and let me tell you their Greek wedding was so much fun! From the lovely ceremonial traditions to the fun Greek reception. I have never seen so much money thrown on the dance floor in my life and can we talk about those moves on the dance floor? It was definately one of my most memorable receptions to photograph! Also, just seeing the love between the family… the siblings were their wedding party, and each of them gave a toast along with their kids about how special Christina and Dino have been and it was tear filled and so beautiful to witness. Thank you to all the vendors who made the day beautiful!